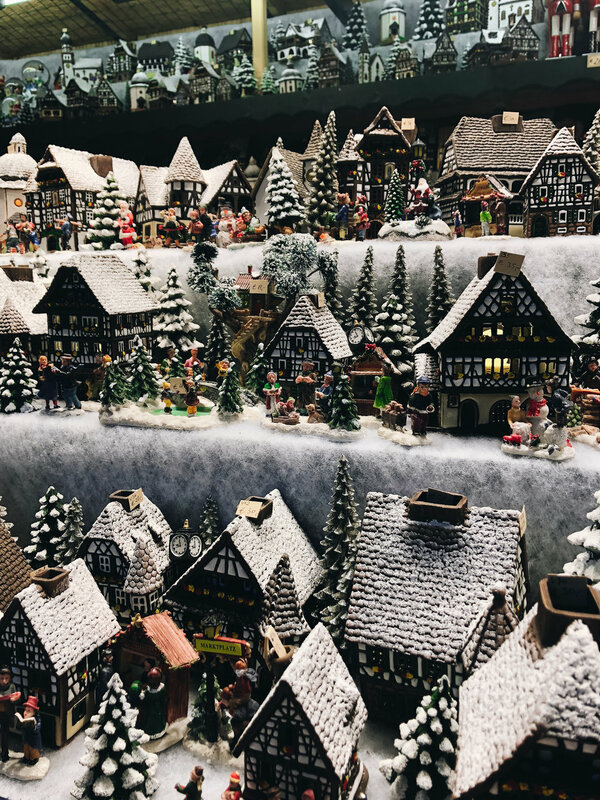 As you might have already noticed, right now we are exploring some of the Christmas markets in Innsbruck and cities close by. 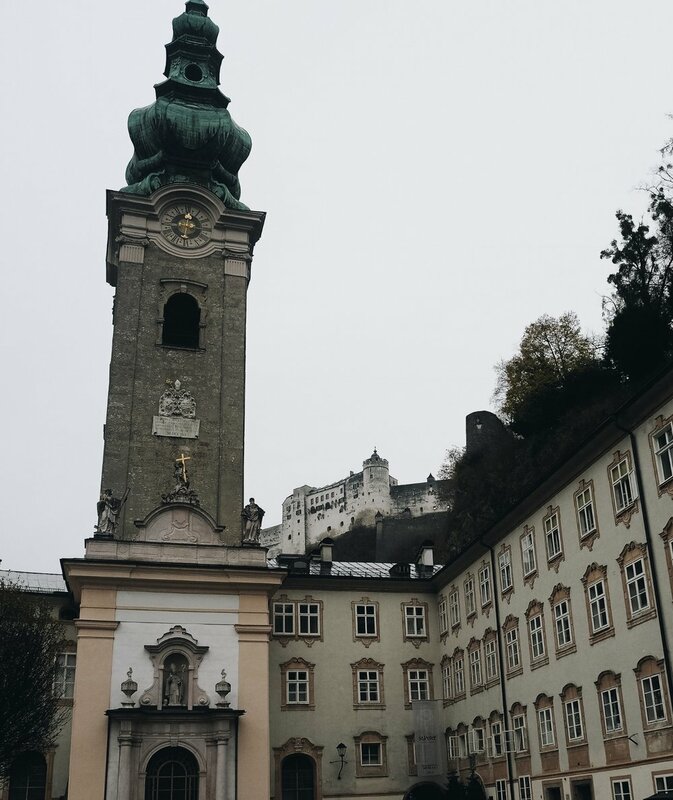 So, two weeks ago, we went on a little road trip to Salzburg, a quite well-known city, also known outside of Austria, mostly because of The Sound of Music or Mozart. From Innsbruck, Salzburg is easily reached within 2 hours by car, so it makes for the perfect day trip destination. 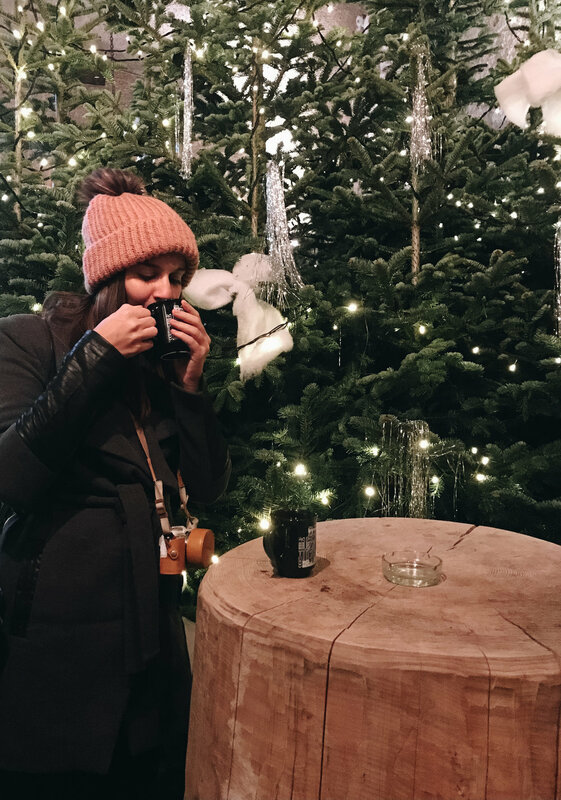 All of the Christmas Markets in the city centre are really close to each other, so sometimes we didn't even realize we went from one to another – which means it’s perfect for people who want to enjoy a great variety of locations without walking long distances. Sadly, it was a cold and very rainy day, but we decided to enjoy ourselves and the city of Salzburg nevertheless. Luckily, the great food definitely made up for the disappointing weather. 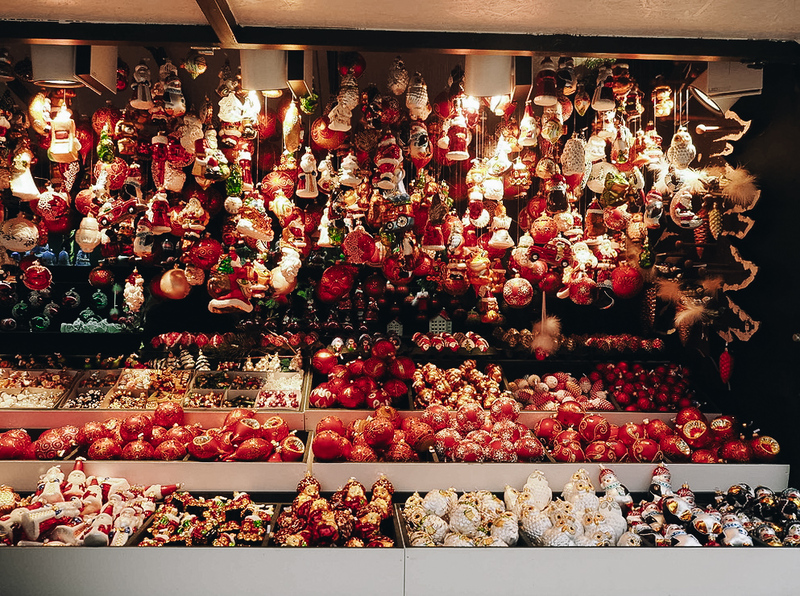 Compared to Innsbruck, Salzburg's markets offer a bigger variety of food and drinks which definitely is a big plus. Also, there were various cute little shops where we even did the first of our Christmas shopping. As we already mentioned, the markets are really close together. We visited the one at Mozartplatz, Residenzplatz and Domplatz, which in reality is just one big market connected by cute allies and small pathways. At least we weren't really able to find out were one finished and the other one started. Like always, it got really crowded in the afternoon, but somehow that's what makes a Christmas market a Christmas market. Also, on the Mozartplatz there was an area for people to go ice skating, what definitely adds to the charm! 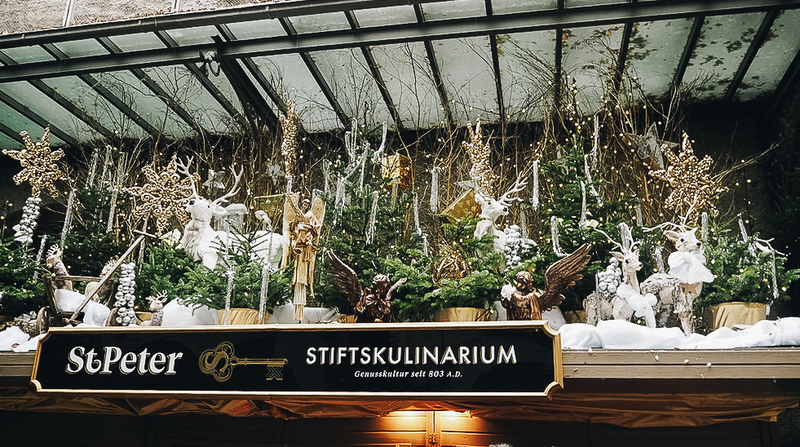 Additionally, we visited a small Christmas market in the district of St. Peters, even if this one is in a different district than the other ones, it’s just a 5-minute walk away. Half of this one was somewhat indoors, as it was located underneath parts of the city hills. It was tiny, with just one stand to buy drinks and some benches and tables to sit down and enjoy yourself, but it was definitely the cutest out of all of the markets. There were less tourists - mostly locals and occasionally a guided group which stopped for one drink and then headed on to the other, bigger Christmas markets. 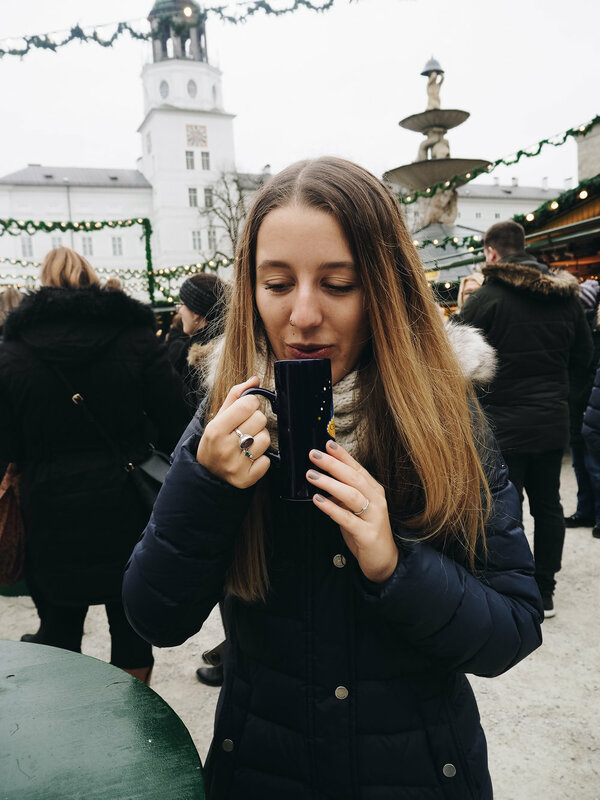 Even though having been living in Innsbruck for nearly all of her life, it was Natascha’s first time in Salzburg, and definitely not her last one. As we mentioned, it’s not even 2 hours by car from Innsbruck. If you are close by (during the holiday season, or any other time year) we definitely recommend you go there, may it be for a quick stop, like we did, or for a couple of days.